The impact of roof hail damage can loosen, fracture, or remove granules from your asphalt shingles. The granules protect the asphalt matting of your shingles from sunlight and Ultra Violet Light (U.V.). The asphalt can deteriorate very quickly once exposed to the sun. This is the main reason a hail-damaged roof will prematurely fail. Hail damaged roofs may or may not show up immediately as visual damage to the inexperienced observer. 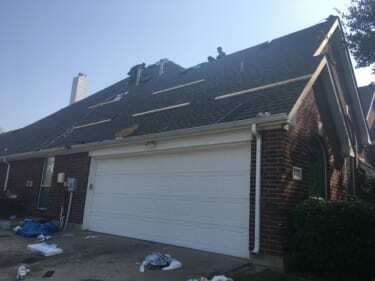 The results of a hailstorm will void the shingles manufacturer’s warranty, as they cannot warranty against “acts of mother nature” such as hailstorms. So the question is: Who is qualified to provide you with a roof damage inspection? It’s important to hire a roofing contractor that has a HAAG Certified Residential Roofing Inspection Certificate. HAAG Engineering is the nation’s leader in the forensics of roof damage detection and analysis. Roofing contractors certified through HAAG are considered experts in the field of roof damage detection from natural disasters such as hail, lightning, and hurricanes. Why does it matter to hire a HAAG Certified Roofing Contractor? The whole process begins before you contact your insurance company. After all, you don’t want a claim on your record if you don’t have any damage on your roof, right? Right! So choosing the best roofing contractor to provide you with a thorough inspection is the first crucial step. 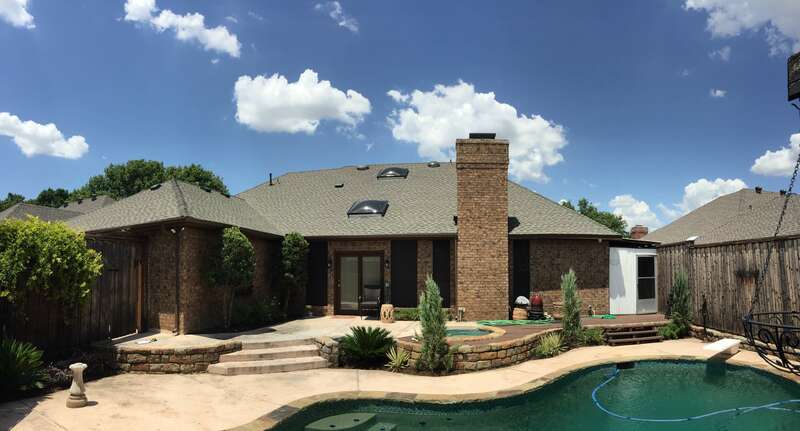 Your roofing contractor has to be able to tell the difference between roof hail damage and several other types of roof damage, such as blistering, granule loss, foot traffic and manufacturer’s defect. What is the benefit of hiring a HAAG Certified Roofing Contractor? Your insurance company will see your claim as legitimate, as it has been pre-screened by a qualified and credible individual who understands coverage exclusions, limitations and requirements.